Dr. Stelios J. Patsiokas was born in Serres, Greece in 1953. He came to the United States in 1971 and entered Wilkes College in Wilkes-Barre, Pennsylvania under a tuition fellowship in August 1971. After the completion of his Bachelor’s of Science Degree in Electrical Engineering in 1975, he entered Virginia Tech where he obtained a Masters of Science in Electrical Engineering in 1977 under a graduate assistantship. Dr. Patsiokas continued his studies at Virginia Tech, towards a Doctoral Degree in Electrical Engineering, which was completed in September of 1979. Since immigrating to the United States, Dr. Patsiokas has become a driving force within the high-tech world of American and International business. 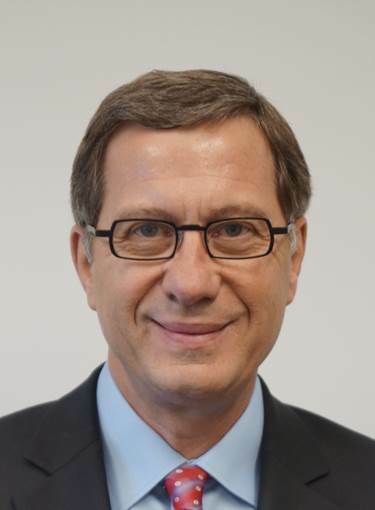 Dr. Patsiokas was hired by XM Satellite radio in 1998 as Senior Vice President of Engineering. At XM he was initially responsible for the development of the waveform, custom chipsets, receiver hardware reference platforms and antennas. He was promoted to Executive Vice President of Engineering in 2001 and his responsibility areas expanded to include the implementation of the overall end-to-end radio link, repeater Network Radio design and installation, development of data services and the development and manufacturing of all aftermarket XM radio products many of them receiving Engineering and Innovation awards. The contributions made by Dr. Patsiokas have enabled Satellite Radio the ability to beam over 150 channels of audio programming to listeners anywhere in the United States. His work also led XM to be named Fortune Magazine’s Product of the Year; one of Time Magazine’s “Inventions of the Year;” Popular Science’s 2001 “Best of What’s New” in the Electronics category; and “Best of CES” at the 2001 Consumer Electronics Show. Dr. Patsiokas is currently the Corporate Vice President and Chief Innovation Officer for Sirius XM Satellite Radio, America’s only nationwide digital satellite radio service. Prior to joining XM Satellite Radio, Dr. Patsiokas worked with Motorola, Inc. for nineteen years. During his tenure with Motorola, he was a major contributor in the areas of radio wave propagation, microcellular system design and the development of the cordless telephone second-generation technology (CT2). As Director of Product Development for Motorola’s Messaging Systems Product Group, he developed the PageWriter 2000 two-way messaging device, Motorola’s first software centric device. Dr. Patsiokas received the Washington Immigrant Achievement Award from the American Immigration Law Foundation in March of 2002. He was inducted in the Space Technology Hall of Fame the same year. In 2014, Dr. Patsiokas was Graduation Commencement key note speaker in his Alma Mater, Wilkes University, where he received an honorary Doctorate of Science Degree. Dr. Patsiokas holds 35 United States Patents in the area of RF Communication Systems and Wireless Devices.